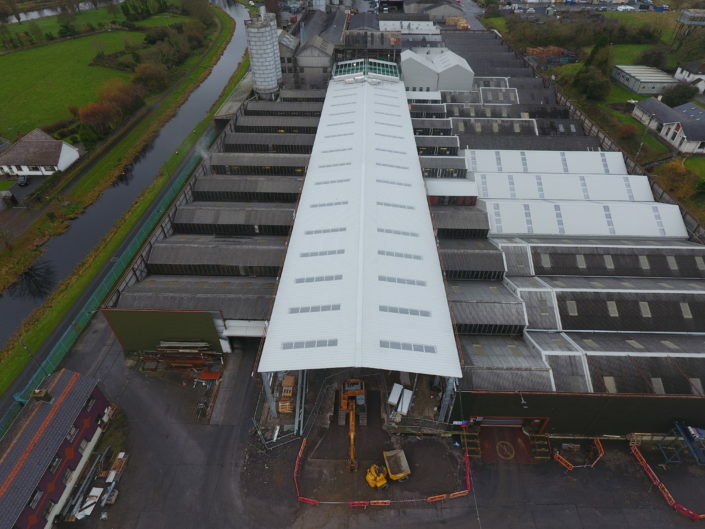 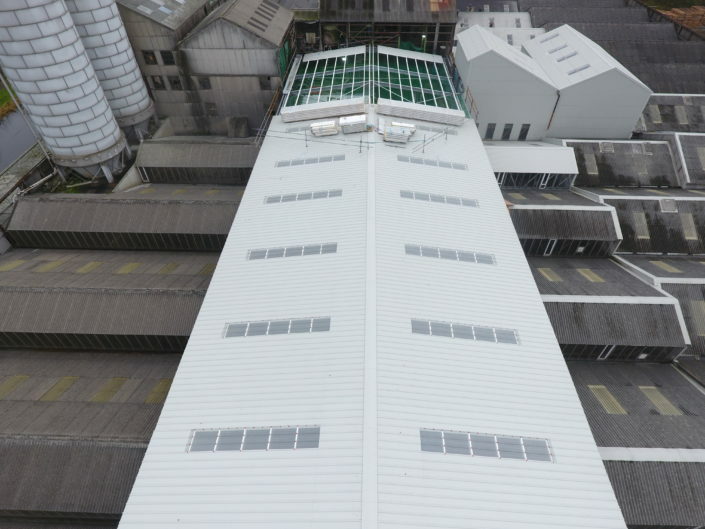 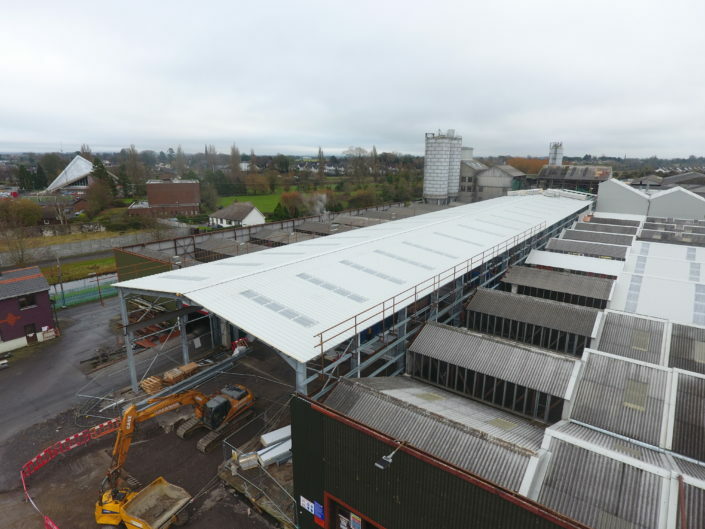 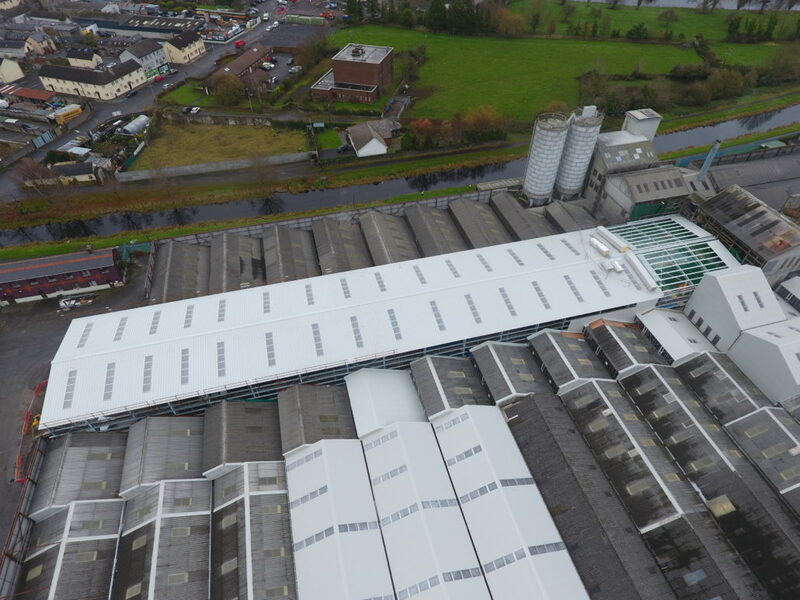 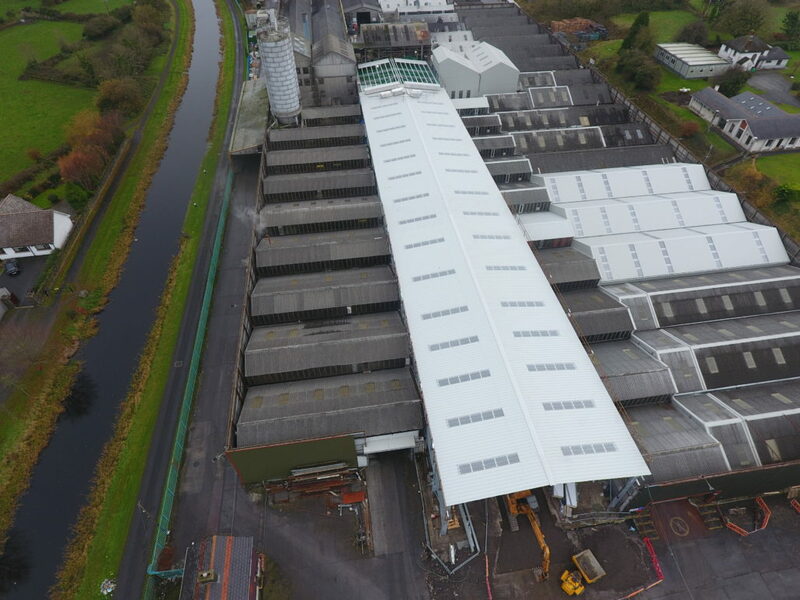 SRS are nearing the completion of a new slate production facility for Tegral in Athy. 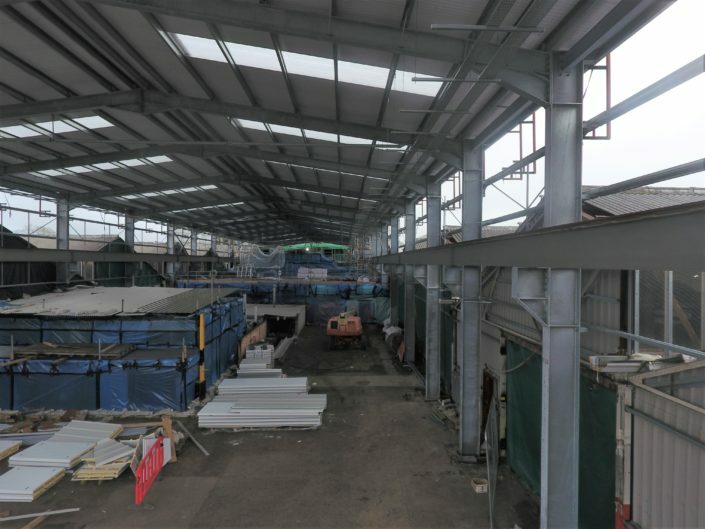 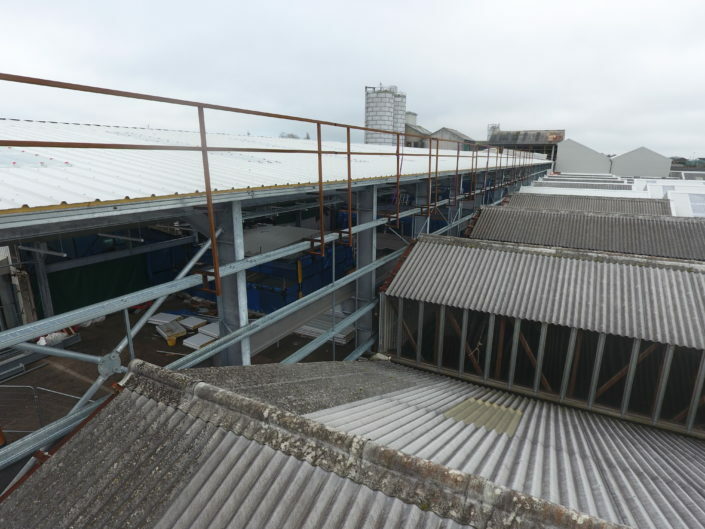 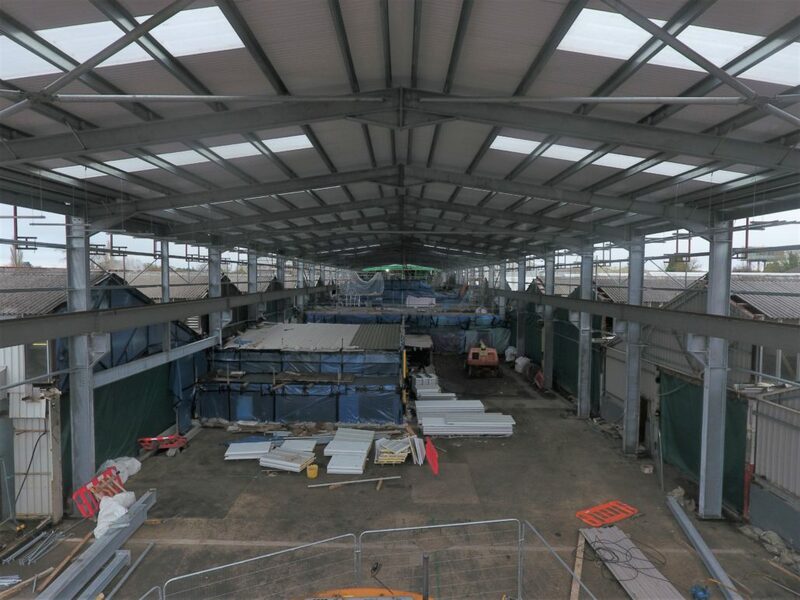 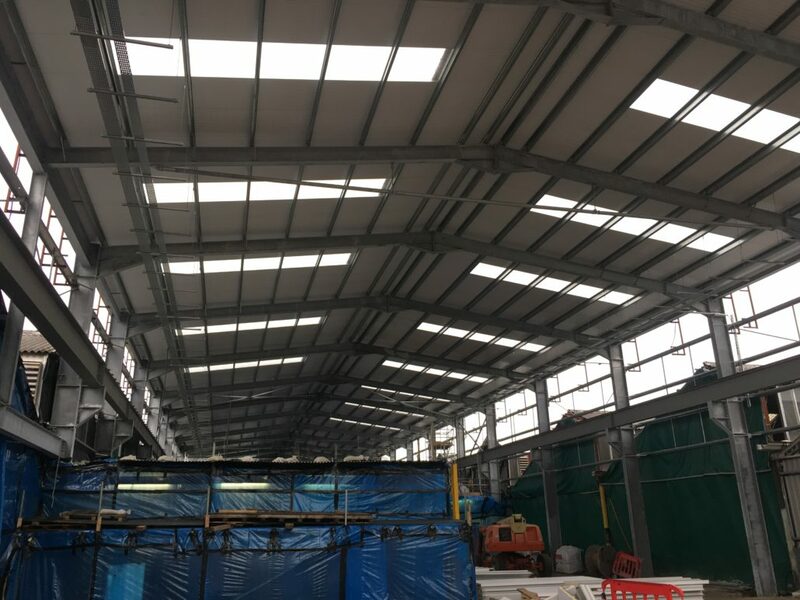 SRS were contracted to construct the new steel frame and install the roof and wall cladding. SRS was also appointed as PSCS for the project. The frame is 150tn of galvanized steel including crane rails for a 20tn gantry crane. SRS also fabricated and installed all custom made temporary hand railing for the roof. 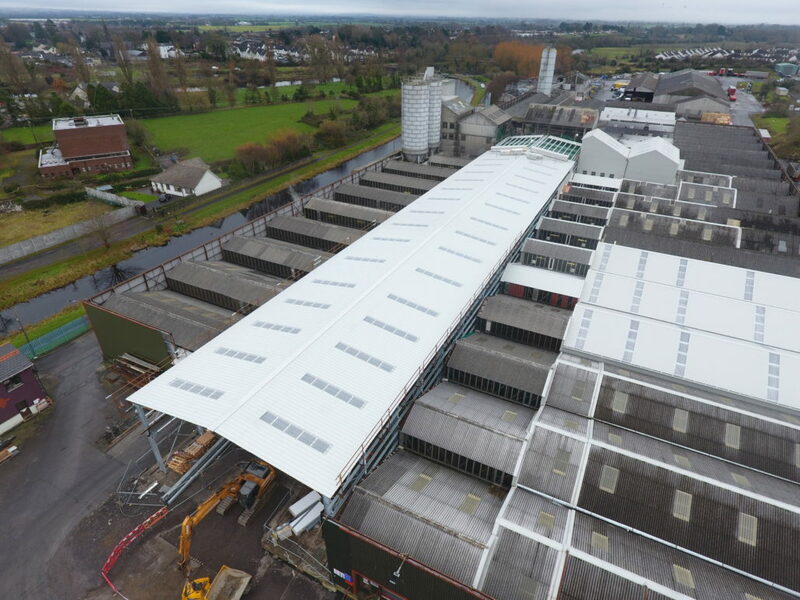 The factory was constructed while all other production facilities were live. 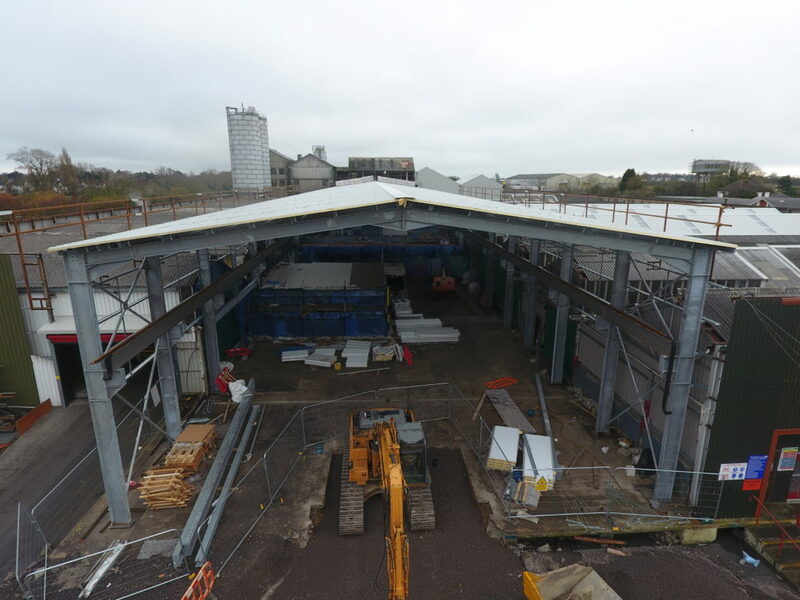 The structure is enclosed on 3 sides which made access difficult for the build.